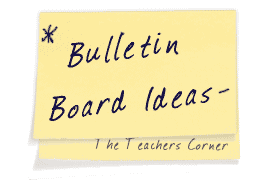 Our Science Bulletin Board Ideas page will provide you with great resources for a number of science related topics. Our bulletin boards will help you integrate various activities into your daily curriculum. Ideas within the science bulletin board pages include resources for the following: earth science, physical science, life science, the scientific process, and famous scientists. I have 2 huge bulletin boards outside my classroom. I was at a loss as to what to do with one of them so I told one of my cooperative groups to make me a science bulletin board about our unit of study...green plants. What an excellent job they did. This month I'm assigning both boards to 2 different groups....one to do a new science board and the other to do a SS board. This year my door will be geared to the rainforest. I will have a HUGE palm tree with bright monkeys, parrots, tigers, etc. on it. Each child's name will be on an animal. My caption---OUR TROPICAL RAINFOREST! 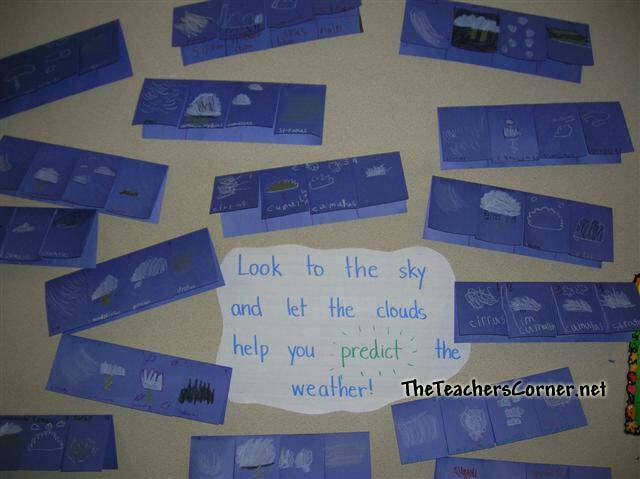 During a weather unit, students typically learn about the different types of clouds they may see in the sky. This is a great way for students to synthesize this information. The work below was created by a 1st grade class. 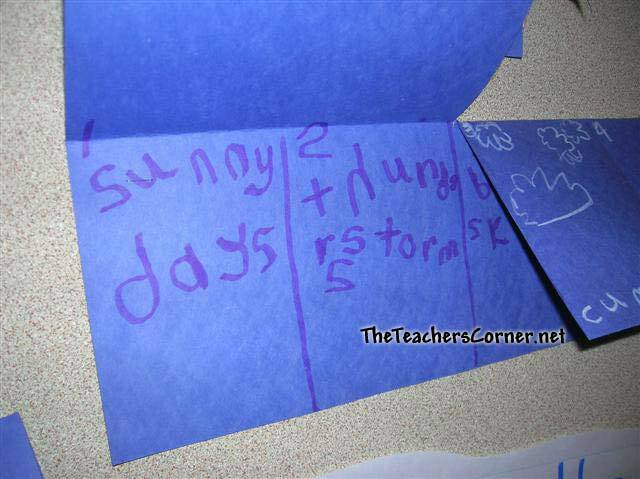 Take pieces of blue construction paper, fold in half, and then cut within about 1/4 of an inch of the fold. (You will need to divide the paper into thirds and make just two cuts.) 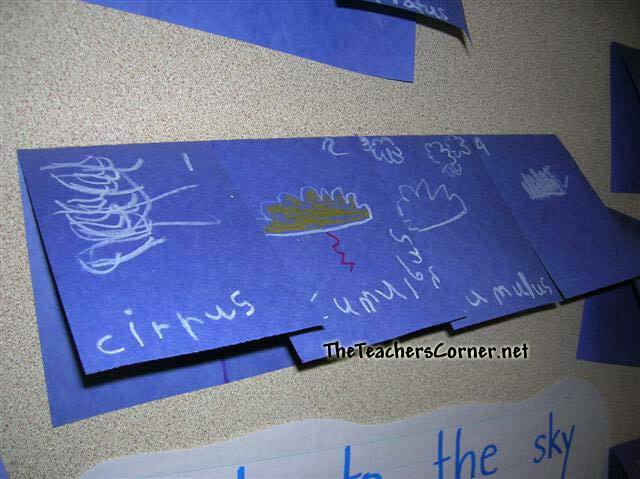 On the outside of the folded paper, students draw and label the type of cloud. On the corresponding inside flap, they "predict" the type of day you would have if this cloud was in the sky.